Annuties provide tax-advantaged retirement savings options. 3. How Do I Evaluate an Annuity? Annuities are retirement savings contracts sold by life insurance companies. The three basic types of annuities are fixed, fixed index -- or equity index -- and variable. Both fixed and fixed index annuities provide a guaranteed minimum value of an annuity contract, but they credit earnings in different ways. The choice between the two types narrows down to what level of guarantee fits your financial outlook. Annuities provide the advantage of tax-deferred growth on savings outside of qualified retirement plans such as individual retirement arrangements and 401(k) accounts. An individual saving for retirement can invest any amount in an annuity and have that money grow until it is needed to provide retirement income. In retirement a deferred annuity can be "annuitized" to provide a lifetime monthly income. Fixed and fixed index annuities provide retirement savings growth, with fixed annuities earning interest at a rate set by the insurance company and fixed indexed annuities earning returns based on the stock market. As a rough comparison, a fixed annuity is similar to a bank certificate of deposit. When you buy a fixed annuity, the insurance company will guarantee a certain interest rate for a set period, often five years or longer. Once the rate guarantee runs out, the insurance company will continue to pay interest on the annuity based on what the company is earning on its investments. A fixed annuity will have a declining surrender charge schedule for five to seven years after the purchase date. A surrender charge is a percentage of the annuity value kept by the insurance company if the annuity is closed during the surrender charge period. These rate and surrender charge periods are typical, but fixed annuities are available with a wide range of rate and surrender charge combinations. The major feature of an indexed annuity is how the earnings for one of these annuities is determined. The earnings of an indexed annuity are based on the value change of a stock market index. For example, an equity-indexed annuity may earn 80 percent of the value gain of the S&P 500 stock index for the last 12 months. If the stock index goes down, an index annuity will pay a guaranteed minimum rate of zero to 2 percent. Because the maximum earnings may be capped, an index annuity will earn only up to the capped percentage even if the stock market has a great year. The surrender charge period for indexed annuities is usually much longer than for fixed annuities -- often 12 to 15 years or longer. A fixed annuity provides the advantage of a guaranteed rate of interest, at least for the initial guarantee period. 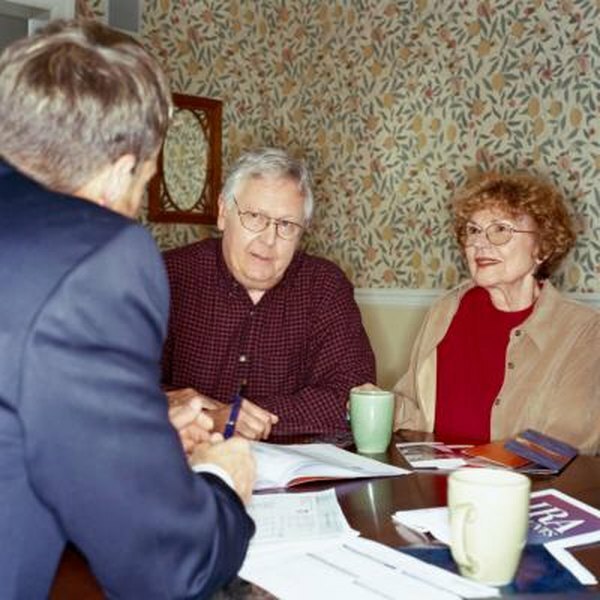 An annuity can be exchanged for another annuity without tax consequences. Consider an exchange if the rate on a fixed annuity is too low after the initial rate or surrender charge period runs out. A new surrender charge period would apply. Fixed equity-indexed annuities combine a guaranteed minimum return plus the potential of higher earnings if the stock market does well. The trade-offs are the much longer surrender charge period and the complicated earnings formulas used by most index annuity providers. Most annuities allow limited, penalty free withdrawals during the surrender fee period. Check this feature if you think you may need some money from your new annuity.